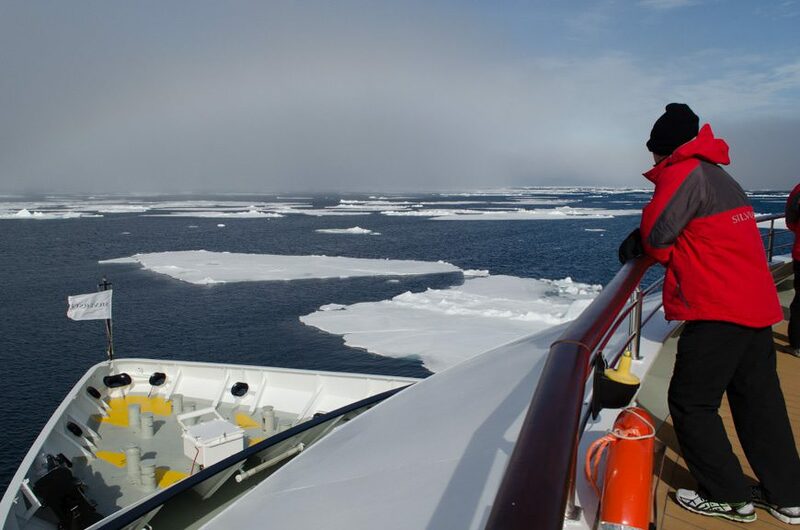 It was nearly at the end of my expedition to Arctic Svalbard aboard Silversea Expeditions’ Silver Explorer when I realized that there were two different mindsets of my fellow guests about the Arctic. While everyone enjoyed it, I’d estimate that roughly a quarter of the people onboard found the Arctic a gloomy, desolate place. One guest remarked that our final port of Longyearbyen wasn’t much to look at; another suggested the town council needed to do something to spruce the place up. I didn’t really understand the need to “spruce up” anything. After all, if everywhere we went looked like Las Vegas, what a terrible world we’d live in. An expedition, by its very nature, is meant to be raw and unfiltered – and Silversea does a magnificent job of presenting the Arctic in all its cold, lonely beauty. 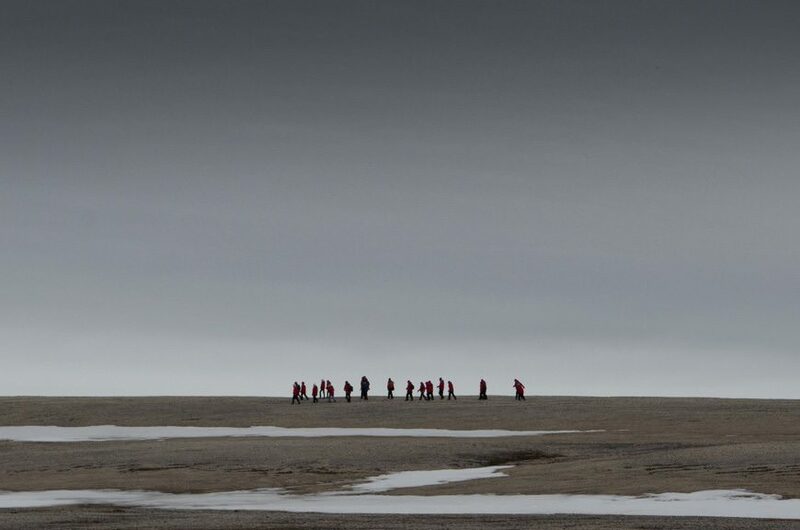 Yes, on its monochromatic surface, Svalbard is not a place to be envied. It’s a place that has broken many a tough spirit, unraveled many a strong man and woman. The climate here is so harsh and unforgiving that no one dares to give birth in Longyearbyen; women leave for the safety of Tromsø on the mainland long before they’re due. They say no one really dies on Longyearbyen, and that’s (almost) true as well: the melting permafrost makes burying anyone here an impossibility. So why did I fall in love with the Arctic? Precisely because of its difference – and because Silversea knows how to present this delicate and foreboding land with the reverence that it deserves. Of course, by now you likely know that the hundred or so of us onboard Silver Explorer were treated to a few extra days onboard, courtesy of fog and continued delays with our charter flight to Oslo. In many ways, I was glad this happened. It gave me a chance to see what I’ve always suspected: that Silversea’s legendary service isn’t just confined to sailings that go according to plan. In fact, when the rug got pulled out from under us and we returned to the Silver Explorer, things continued on as if we had never left. Lunch was served in the restaurant. Entertainment was put together and scheduled. New daily programs were printed, and new menus put together. It ended up being a memorable ending to what was a truly special voyage. Silversea was one of the first lines to really explore the concept of a luxury expedition cruise, and Silver Explorer was the ship that started it all in 2008. Back then, she was known as Prince Albert II, though her name was quickly changed to Silver Explorer to standardize her with the rest of Silversea’s fleet. It’s a fleet that now includes five classic ships (with a sixth – Silver Muse – on the way) and three luxury expedition ships. 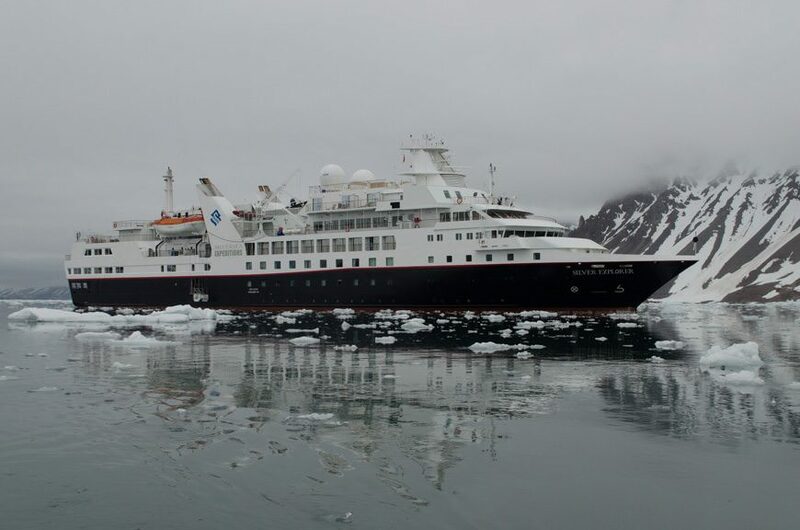 Silver Explorer spends her summers and winters in the world’s polar climates, exploring the so-called High Arctic during the summer months, and Antarctica during the Northern Hemisphere winter. Her fleetmate, Silver Discoverer, calls the Pacific Ocean her home. 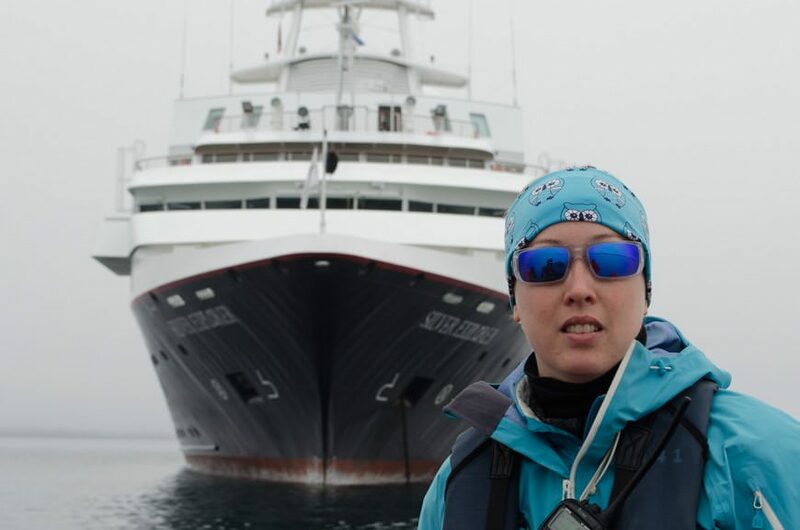 She sails all the way from Russia’s Kamchatka Peninsula and Alaska’s Aleutian Islands to the warm seas and unforgiving landscape of Australia’s Kimberley Coast during the winter months. Silver Galapagos, unsurprisingly, makes her home in Ecuador’s Galapagos Islands, where she sails year-round on a series of weeklong alternating Western and North-Central itineraries. 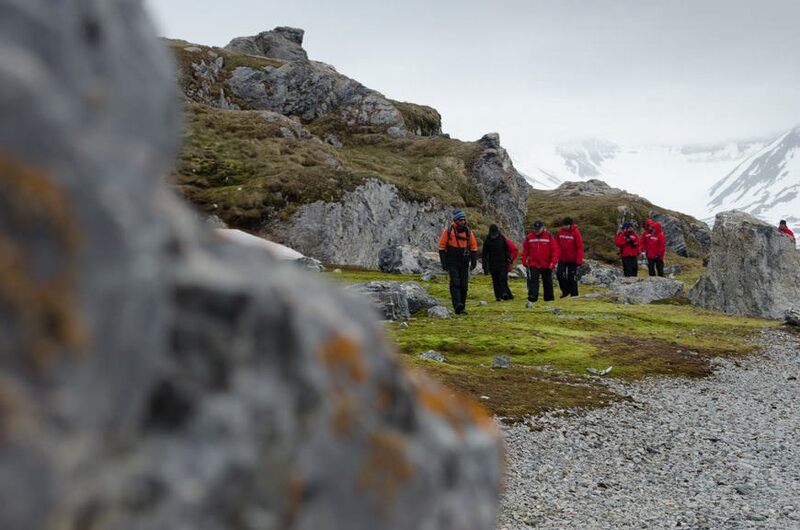 All of Silversea’s expeditions explore some of the world’s most remote places. They don’t have the brand-name recognition that Santorini, Stockholm, New York and Tokyo do. They’re not bustling metropolises like Hong Kong, nor are they laid-back resort destinations like Barbados. Your friends will give you confused looks when you exclaim, ‘I’m off to Svalbard!’, and few are likely to have any idea at all where – or what – a Fakesvagen is. A misspelled German car, perhaps. 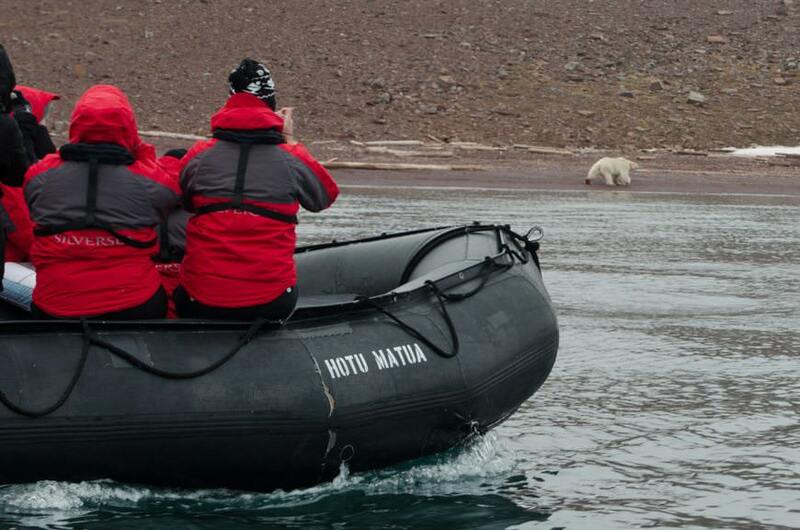 But in my 10 (okay, 12) days with Silversea aboard Silver Explorer in the Arctic, I saw my first-ever polar bear in the wild. I walked through the remnants of whaling outposts, lonely trapper’s huts, and marble quarries. I crossed 80°N for the first time – the farthest north I’ve ever been on this planet. It’s at least 20 degrees further than most people will ever venture in their lifetimes. We wedged ourselves in the Polar Ice Cap in search of polar bears. We saw impossibly-small plant life. We hiked mountains, climbed hills, and stood on glaciers. And at the end of each day, we were treated to a welcome back drink, a hot towel, and five-star meals, service and accommodations. There are other cruise lines that sail to Arctic Svalbard, and I’m sure they do a good job too. 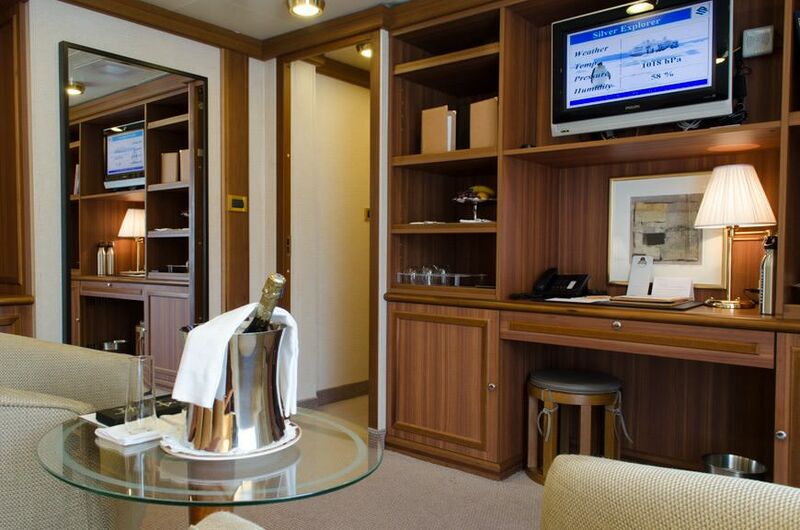 But there’s something to be said to returning to a luxury ship after a hard day ashore and being greeted by canapés and flutes of champagne. Silversea’s crews are second-to-none. 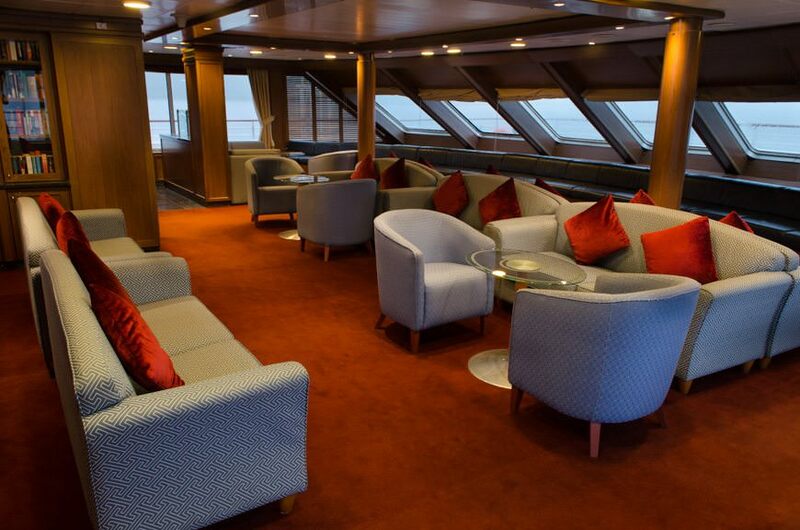 I knew many of the crew members onboard, and it’s a bit like returning home when I sail on Silversea. Or, at least, my home-away-from-home. This also rings true for the Expedition Staff, who really are the best-of-the-best in the industry. 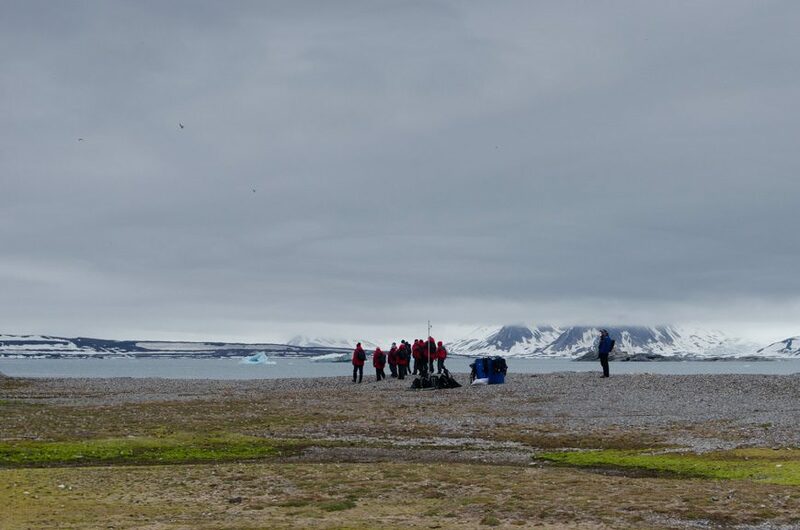 This disappearing world: exploring Gnalodden, Svalbard, this afternoon with Silversea Expeditions. To me, good travel isn’t measured in duty-free shops and TGI Fridays. It’s in experiencing something different, almost alien, from what you already know. It’s in discovering things you had no concept of just a few days, minutes or even seconds before and realizing how they tie in with the world around you. It’s in understanding different cultures and foreign ways of life. 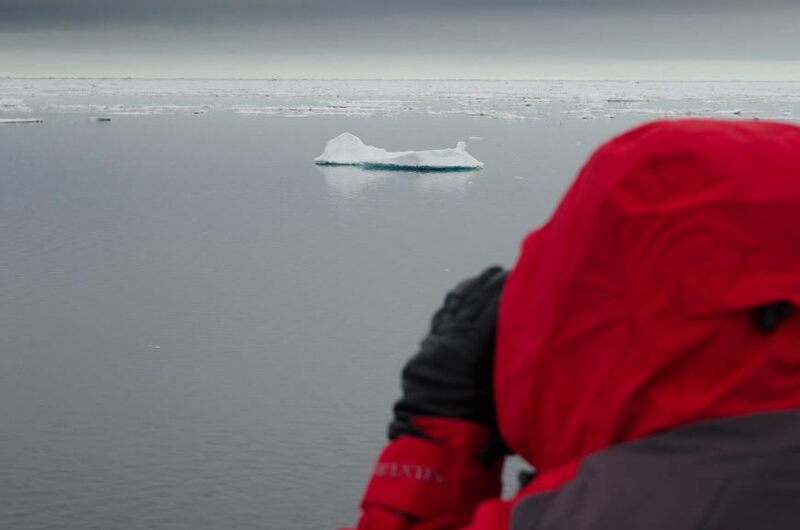 What will stay with me forever – outside of the wonderful service, the nine different kinds of pillows and the other luxuries Silversea is known for – is the silence of the Arctic. It’s so completely quiet that the emptiness of it all will fill your ears like the roar of a jet-engine spooling up at close range. It’s so lonely that the landscape practically screams out at you, the most visible creature for miles around. Sometimes it takes a journey to the end of the earth to realize how starved we are for even the most basic moments of solitude.